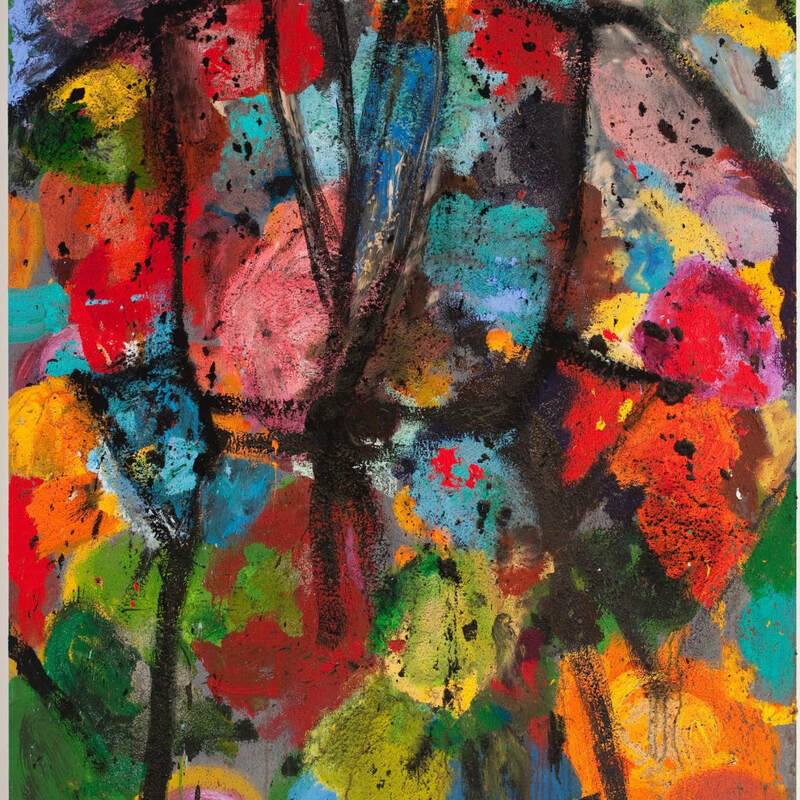 Jim Dine was born in Cincinnati, Ohio, in 1935. He grew up in what he regards as the beautiful landscape of the Midwest, a tone and time to which he returns constantly. He studied at the University of Cincinnati and the Boston Museum School and received his B.F.A. from Ohio University in 1957. Dine's earliest art—Happenings and an incipient form of pop art—emerged against the backdrop of abstract expressionism and action painting in the late 1950s. Objects, most importantly household tools, began to appear in his work at about the same time. A hands-on quality distinguished these pieces, which combine elements of painting, sculpture, and installation, as well as works in various other media, including etching and lithography. Through a restricted range of obsessive images, which continue to be reinvented in various guises—bathrobe, heart, outstretched hand, wrought-iron gate, and Venus de Milo—Dine presents compelling stand-ins for himself and mysterious metaphors for his art. The human body conveyed through anatomical fragments and suggested by items of clothing and other objects, emerges as one of Dine's most urgent subjects. Making use of the language of expressionism and applying it to themes concerning the artist as a creative but solitary individual, Dine ultimately asserts himself as a late-twentieth-century heir to the romantic tradition.